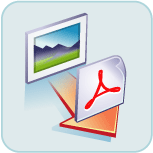 Convert image to pdf command line example wizard. Quick and easy command line specification. Here we detail exactly how to use the command line. Simply select the input file type below, then click Submit. For the full, accurate, and up to date information see the 'Convert Image to PDF' command line documentation. There you will also find a full list of examples and how to troubleshoot.